Would Your Prefer A Manny Or A Nanny? Home » Would Your Prefer A Manny Or A Nanny? Every mom dreams of having someone who can take their kids off their hands for a few hours, while some people actually have the luxury of having this person live with them full time and its not their husband. While watching the new reality show ‘Hampton Nannies’ the other night, I realized that it isn’t just women being hired to look after the kids. 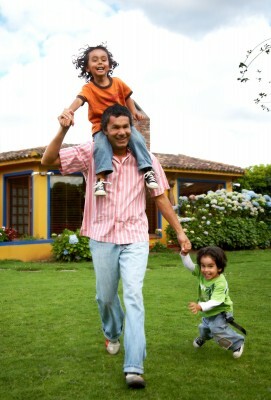 Hampton Nannies also features a male nanny, who was very popular with the kids and the moms! This got me to wondering – are male nannies more in demand than their female counterparts? I really hadn’t thought of having a ‘manny’ until last year when a friend of mine who is a busy NYC mommy told me that she had one and her 3 boys loved him. At that time, it made sense to me that she had a guy watching her 3 boys because he could get rough and tumble with them, just like young boys like. But would the same situation work if you had 3 girls? Probably not. According to an article I read last year, 90% of nannies in the U.S. were female, leaving just a meager 10% male. Does that make them more expensive? Here are a few pro’s and con’s for having a female vs male nanny. Bottom Line: I would probably stick with the traditional female nanny because in many cases they have been trained in many areas that will benefit your family in terms of safety, nutrition and education. Violet and Seraphina Share A Seat!